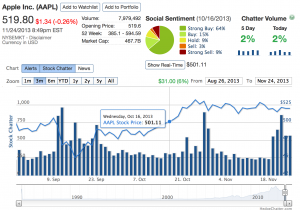 HedgeChatter – Social Media Stock Sentiment Analysis Dashboard is a site that analyzes social media chatter about stocks and then lets you see how a stock is doing. In the picture above you can see the dashboard for Apple (APPL). 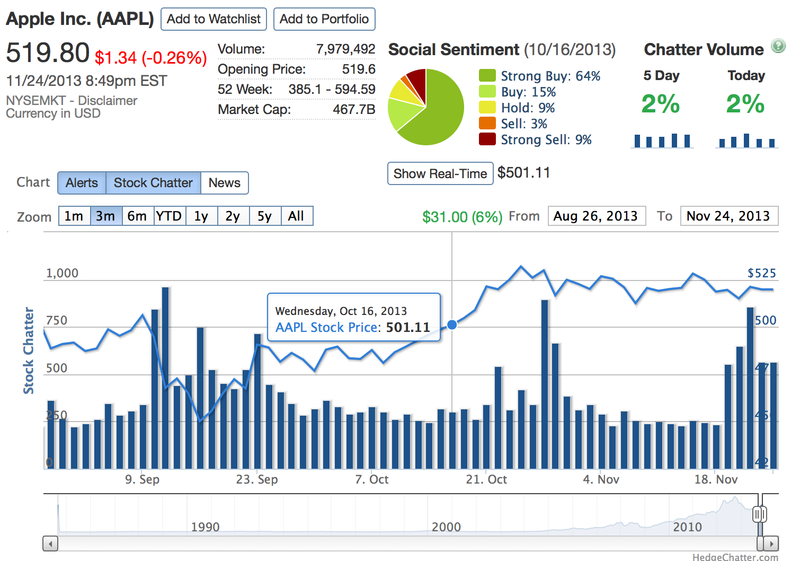 Rolling over it you can see what people are saying over time – what the “Social Sentiment” is for the stock. I’m assuming with an account one can keep a portfolio and perhaps get alerts when the sentiment drops. To do this they must have some sort of text analysis running that gives them the sentiment.